My next blog post won’t be until next Tuesday, so I want to share a bunch of cozy sale items that I’m loving this week! 🙂 There are so many cute and cozy things on sale right now! First, I want to mention that the Christmas hoodie (monogrammed on the front) I’m wearing above is only $10 right now! It is part of the shopilovejewelry.com monthly Monogram Swag Bag! I’m wearing the Small, and you can grab it here! I know a lot of you will be shopping this week, so I want to share everything that I have found so far (from a few different retailers)! I’m also going to include any great items that are part of a special deal going on. You can shop it all below! I’ve also been working on adding more items to the Christmas tabs on my blog! I just created a special Christmas Shop tab where you can shop for everything as well! Hopefully this will make it easier for you to do your Christmas shopping! 🙂 If you ever have any specific requests, just let me know! I hope you all enjoyed this cozy sale roundup (so many amazing, items on sale)! Have a wonderful Thanksgiving filled with family, friends, and food! 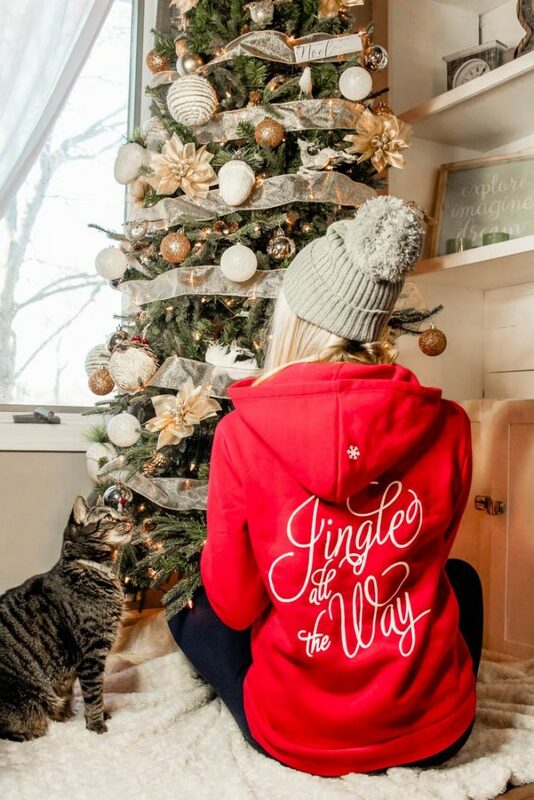 This entry was posted in Fashion and tagged 2018 sales, beanies, Black Friday 2018, Black Friday sales, boots, cardigans, Christmas gift ideas, Christmas gift ideas for her, Christmas gifts for her, Christmas shopping, clothing sales, cozy outfits, cozy sale, cozy sale roundup, cozy style, gifts for her, robes, sale roundup, sales, scarves, slippers, style blogger, sweaters, Thanksgiving week sales, Winter boots, Winter fashion, Winter outfits, Winter style, Womens boots.